We can believe almost anything we want to believe. – Jesus is the well of the living water, the Holy Spirit. We can believe almost anything we want to believe. A while back, my wife and I went to a local store that was permanently closing its doors for business. So we thought we could go and visit and maybe get some good deals on the closeout sales. The only catch with the sale was that everything was final sale, meaning we couldn’t return them for any reason whatsoever if we were to purchase any item. So we bought this pair of curtain panels, nicely packed at a seemingly discounted price. But once we got home, that was when we found out that they were of different sizes, and thus we were stuck with them. What happened? We believed the store to be of good reputation. We believed that no employee at the store would somehow mislead us with a bad package. So we trusted whatever we would buy would be what we had intended to buy. We believed. And the Holy Spirit had nothing to do with us believing in the store. When the serpent lied to Adam and Eve, they believed. And the Holy Spirit had nothing to do with them believing in the serpent. It’s not impossible for us to believe on our own almost anything we want to believe. If we can imagine it, to us it’s almost a guarantee that it must be true. Just because it has an appearance of truth, we often conclude that it has to be true and therefore is worthy of even last penny of investment. I once believed that God, like my earthly parents, is always on the lookout to know what I’ve done wrong to thus hand me my fair punishment. You don’t have to go far in the Bible to find verses supporting such a view. I also believed that God, like my earthly parents, is always seeking to know what I’ve done as good so that He will bless me more and more. And again, you do not have to turn too many pages to find passages supporting such former understanding of mine. And the Holy Spirit had nothing to do with those beliefs. Those beliefs were purely my own beliefs that I received from so many others who seem to be wiser than I am, especially as they use some verses of the Bible to support their conviction. What am I getting at? You can believe almost anything you want to believe without the involvement of the Holy Spirit. But you cannot believe in God, you cannot believe in Jesus, you cannot believe in the Holy Spirit without the involvement of the Holy Spirit. Faith is believing in God as Christ has portrayed Him by the power of the Holy Spirit. Faith is also believing in God as Christ has portrayed Him, by the power of the Holy Spirit. Faith is a fruit of the Holy Spirit. Faith is not merely someone’s relentless conviction. But it is conviction in the right direction. Now, we can entirely dismiss the Bible and shut our minds to what is said and prohibit others from ever recalling what was said. We can also confiscate all the printed copies, all the websites publishing Bible contents, all apps and all churches seeking to preach what the Bible says. We can do all of that. We can even make a decree that no one talks in the name of Jesus. We can do all of that. And go on living life with our own reasoning, our own set of facts and our own ways of proving things to be true or false. I guarantee you this. Somewhere along the way, you will have to make your own record of truths. You will have to get with others doing the same. And as you deeply think about life and study the ways of things, apart of the Bible you will conclude many things that the Bible had already made clear. The signature of the person who orderly built everything that we can see and experience, such signature is built in the very makeup of everything that we’ve come to grasp a generous level of understanding. This man named Paul visited a statement made by poets who may not have never heard of Christ or God. Those poets may have felt an obligation to occupy themselves with bringing up some undeniable truths that their surrounding would simply contemplate and go, “Wow…that kinda make sense”. The problem is that we have seen God and have heard God in so many occasions. But given that no one has ever pointed to a person and say, “here is God”, we embark into our own voyage of identifying God. We meet with many forces that seem to baffle us and maybe overpower us, and thus conclude that they must be gods. But then we see divisions like one spirit seemingly strong than another, and thus keep on hopping from one spirit to another hoping to one day meet the strongest. That’s what so-called magicians do. They upgrade. Something doesn’t add up. How come magicians cannot end world wars? How come magicians cannot end poverty? How come magicians cannot stop earthquakes or tsunamis? How come magicians cannot cure cancer? How come magicians cannot do heart surgeries or heal those with fatal illnesses? How come magicians cannot create more planets or maybe add more moons to rotate the earth? How come magicians cannot keep themselves from ever dying? So as we seek the truth about anything, we come to unveil what has already been said long ago. Then we realize that rather than burdening ourselves with re-inventing the wheel, what don’t we simply test what is said to see if it’s true for as long as the test is not asking us to stand in the path of a moving train. Believing in Christ doesn’t require anyone to jump off a roof and see if they will fly. It doesn’t require anyone to jump into a river to see if they will instantly know how to swim and not sink to the bottom of the river. No, Christ does not ask nor want anyone to kill themselves as a mean to show solidarity to Him. All He asks is the same thing he asked of those that the Bible said had seen Him and dined with Him. Christ did something, the Bible said. If the Bible is true, then what Christ did has immeasurable value. 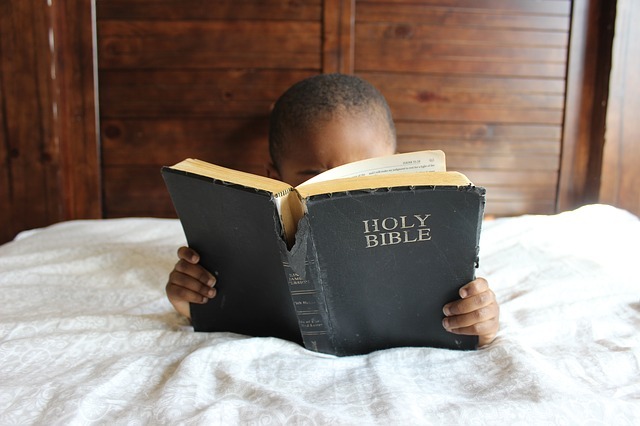 Just like we’ve tested many books to see if they’re worth our attention, if the Bible is not true we should read it and come to such conclusion. Would my mind and heart be more comforted with agreeing that what the Bible has said is true to have been said and true in itself? Or would I reap hopelessness with such agreement? I think it is worth checking the Bible out personally. There will be ups and downs. But I think that if we take life into consideration and apply what we believe to be true of the Bible after we have evaluated it ourselves in one form or another, we will have concluded that every poet, every philosopher, every scholar definitely wants to own a copy. Why? Because on their quests for answers, they often find themselves flipping a page or two of the Bible and land on the answer that they’ve all been seeking: Jesus. Previous The answer is the love of God, not self-condemnation. Next Jesus the ultimate refuge, the solid asylum for all refugees.